When Akko and Diana convince you to drop everything and be with your mother, you know you’ve made a good anime. Also, at least some of us here apparently would enjoy having hot bitchy twin cousins. I’ll let you decide whether you think that’s a good thing or not. Diana a best. After Sucy, of course. Thank you so much for releasing this chapter, for all the work you do to bring this wonderful anime to all of us. Question: How does one view the episode? If you’re adamant on uTorrent, at least use v. 2.2.1. Else go with qBittorrent, Vuze, maybe Deluge. In my experience nothing beats Tixati. I don’t think it’s very popular but it works really well for me. Aye, I personally prefer Tixati. Tixati | qBittorrent > Deluge > Transmission | Vuze > Everything else. qBittorrent was pretty buggy last I used it a couple years ago due to the main developer having left, but I believe the current maintainer is doing an alright job these days along with other contributors. FWIW, Deluge is based on the same awesome torrent library as qBittorrent. 5: encode back to 704×480 xvid. following this stage you now can now decode it with 3 different codecs for thrice the playback power! 14: add in some linkin park to play alongside the audio, it’s like watching an amv! Will you consider uploading the file to nyaa.si and nyaa.pantsu.cat? It makes life easier when you’re using Taiga for automatic downloads. Any torrents you see that are not submitted by our username are unofficial. I’ve had longer delays waiting for a bus! Oh my god the drama yo! I got so caught up the ending completely snuck up on me and GYAH I have to have more! That was a Shiny Chariot card in the box Diana carefully removed from Akko’s presence right? YAY! Thank you! Though I need to bring something to attention in the lines at 21:20. The first line spoken is in past tense, and the second, “older sister” and “your mother” are referring to the same person, yet the choice of words and syntax does not reflect this. “What has obsessing with the old resulted in? Sorry to meddle, I hope I’m not untimely. 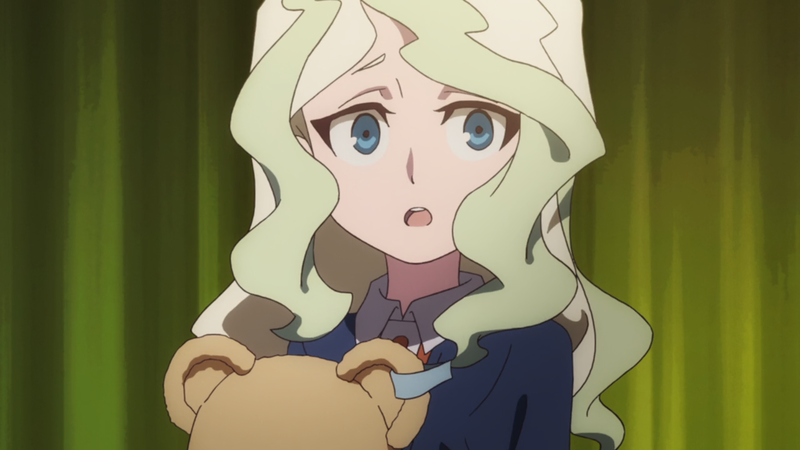 I just recently noticed that Nyaa was gone (I was wondering why I didn’t get any new LWA episodes). Just out of curiosity: Is there a reason why you avoid using Magnet torrents? @anon, They tried posting Magnet links during the first few hours after Nyaa was taken offline a couple episodes ago. Although I don’t know the reason, those links were not working correctly according to the comments. Also, depending upon how you read the legislation, those links can possibly also get a webmaster into hot water in some countries. would you consider using https://nyaa.si/ ? Nothing has been decided or will be decided until LWA ends. Do you guys plan to do the Koe no Katachi movie ? No, official subs should be out tomorrow.